Everyone likes free stuff, right? 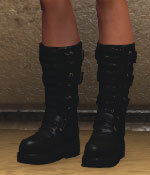 This weekend you can claim a pair of Black Heavy Buckled Boots from the FC Item Store. Part of their Black Weekend Event running from today until Monday at 15:00 CET. 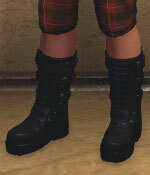 Note: Weekend event is over so no more free black boots. They are still available for purchase, both male and female versions.